Whether you are single, married, employed, or a stay-at-home mom, you probably need life insurance. At the very least, life insurance can help pay for the costs of funeral and burial services, estate administration, outstanding debts, estate taxes, and the uninsured expenses of a final illness. Increasingly, families depend on the income of two working parents. If you're a working mother, your income can have a significant impact on the quality of your family's lifestyle. Your income helps cover the cost of ordinary living expenses such as food, clothing, and utilities, and it provides savings for your children's college education, and for your retirement. Life insurance protects your family by providing proceeds that can be used to replace your lost income if you die prematurely. Often, women, like men, think that it's not necessary to buy life insurance because they have no dependents. What's often overlooked is that life insurance can provide necessary funds to pay off car loans, education loans, debts, a mortgage, taxes, and funeral expenses that might otherwise be the responsibility of family members. Also, the cash value of permanent life insurance may be used to supplement retirement income. Whether you're divorced, widowed, or simply a single mom, you're most likely primarily responsible for your child's support. If you die prematurely, life insurance can provide ongoing income to cover child-care costs, medical expenses, debts, and future college costs. Maintaining a household is a full-time job, and you have many important roles and duties. The cost of the services performed by a stay-at-home mom could be quite significant if someone had to be hired to do them. If you die, your surviving spouse may have to pay for services such as child care, transportation for your children, and housekeeping. Taking over these added responsibilities could cause your spouse to shorten work hours, resulting in a reduction in income. Proceeds from your life insurance can help your spouse pay for services that keep the household running and allow your spouse to keep working. Many women find themselves providing care for both children and elderly family members. Caring for an aging parent or family member can include paying for the costs of adult day care, uninsured medical expenses, and extra transportation. Adding these expenses to the costs of maintaining a household, child care, and college tuition can be financially overwhelming. Unfortunately, these added financial responsibilities often continue after your death. Life insurance provides a source of funds that can be used to help pay for these expenses. You may be one of the increasing number of women business owners. If you die while owning your business, life insurance can be used to provide cash for company expenses such as payroll or operating costs while your estate is being settled. Also, life insurance can be a useful tool for business owners structuring buy-sell arrangements or providing benefits to key employees. Life insurance comes in many different sizes and shapes, and determining the policy that meets your needs may depend on a number of factors. Understanding the basic types of life insurance can help you find the policy that's appropriate for you. Term life insurance provides a simple death benefit for a specified period of time. If you die during the coverage period, the beneficiary you name in the policy receives the death benefit. If you live past the term period, your coverage ends, and you get nothing back. The cost, or premium, for the coverage can be fixed for the duration of the policy term (usually 1 to 30 years) or it can be "annually renewable" meaning that the premium can increase each year as you get older. However, the premium for term insurance usually costs less than the premium for permanent insurance when all factors are the same, including the death benefit. Whole life is permanent or cash value insurance that provides insurance coverage for your entire life. With most whole life policies, part of your premium is added to the cash value account, which earns interest. Some whole life policies also pay a dividend, which represents a portion of the company's profits made during the prior year. The cash value grows tax deferred and can either be used as collateral to borrow from the insurance company or be directly accessed through a partial or complete surrender of the policy. It is important to note, however, that a policy loan or partial surrender will reduce the policy's death benefit, there could be income tax implications, and a complete surrender will terminate coverage altogether. Note: Guarantees are subject to the claims-paying ability and financial strength of the issuing insurance company. Universal life is another type of permanent life insurance with a death benefit and a cash value account. A universal life insurance policy will generally provide very broad premium guidelines (i.e., minimum and maximum premium payments), but within these guidelines you can choose how much and when you pay premiums. You are also free to change the policy's death benefit directly (again, within the limits set out by the policy) as your financial circumstances change. But if you want to raise the amount of coverage, you'll need to go through the insurability process again, probably including a new medical exam, and your premiums will increase. Variable life insurance is a type of cash value coverage that allows you to choose how your cash value account is invested. A variable life policy generally contains several investment options, or subaccounts, that are professionally managed to pursue a stated investment objective. Choices can range from a fixed interest subaccount to an international growth subaccount. Variable life insurance policies require a fixed annual premium for the life of the policy and may provide a minimum guaranteed death benefit. If the cash value exceeds a certain amount, the death benefit will increase. Variable universal life combines all of the options and flexibility of universal life with the investment choices of a variable policy. You decide how often and how much your premium payments are to be, within policy guidelines. With most variable universal life policies, you can direct how your premium payments are invested among policy subaccounts. But you get no guaranteed minimum cash value or death benefit, and the investment return and principal value of the investment options will fluctuate. Note: Variable life insurance and variable universal life insurance policies are offered by prospectus, which you can obtain from your financial professional or the insurance company. The prospectus contains detailed information about investment objectives, risks, charges, and expenses. You should read the prospectus and consider this information carefully before purchasing a variable life or variable universal life insurance policy. There are contract limitations, fees, and charges associated with variable life and variable universal life insurance, which can include mortality and expense risk charges, sales and surrender charges, investment management fees, administrative fees, and charges for optional benefits. You and your spouse may choose to buy a single policy of permanent insurance that covers both of your lives. With first-to-die, the death benefit is paid at the death of the spouse who dies first. With second-to-die, no death benefit is paid until both spouses are deceased. Second-to-die policies are commonly used in estate planning to pay estate taxes and other expenses due at the death of the second spouse. Other than the fact that two people are insured by one policy, the policy characteristics remain the same. Life insurance protection for women is equally as important as it is for men. 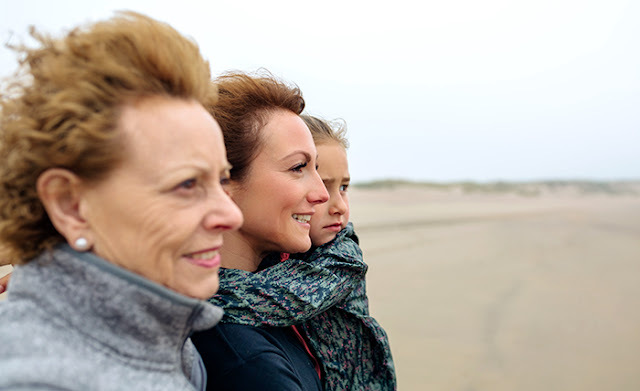 However, women's life insurance coverage is often inadequate. It may be time to consult an insurance professional who can help you assess your life insurance needs, and offer information about the various types of policies available.